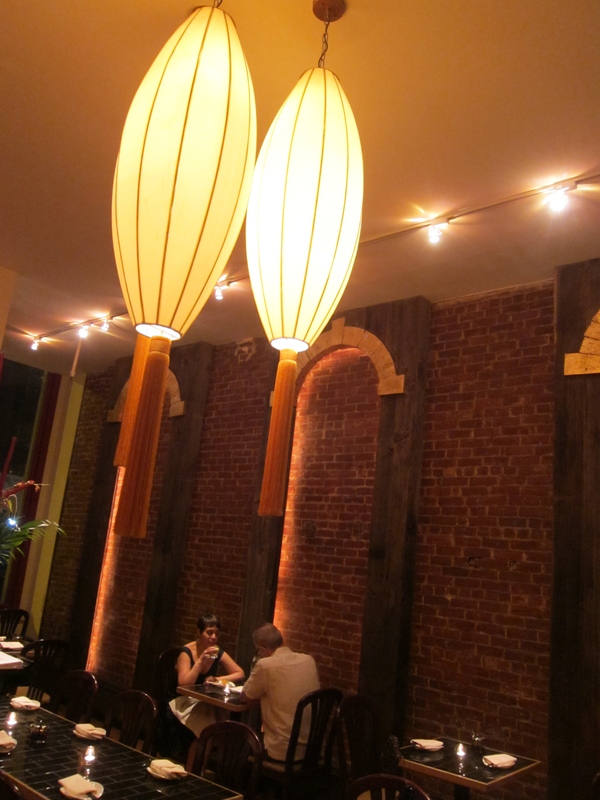 I should have known that I would have some affinity with Lotus Blue, a fairly new Tribeca restaurant serving Yunnan cuisine. My Chinese name means “lotus,” after all — in fact, for many of my early years, that’s what my parents called me. 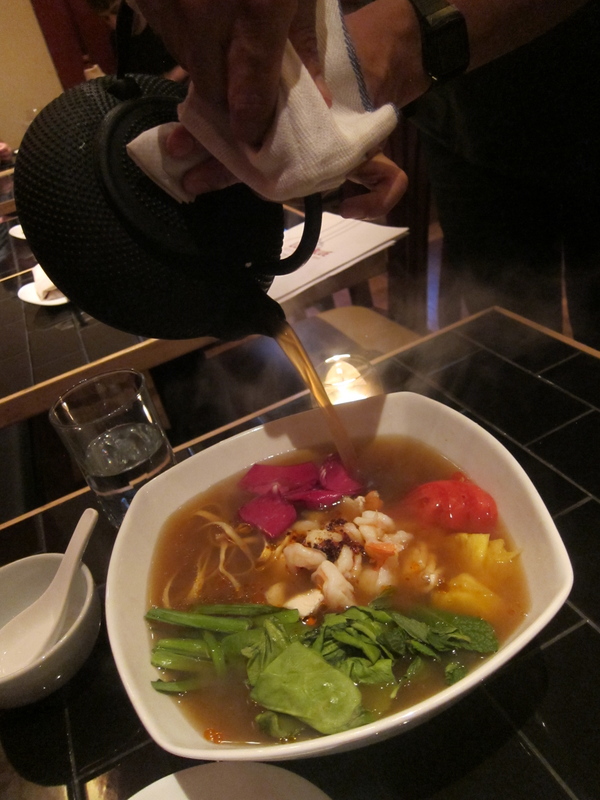 We had been curious to try the place for months — unfortunately, much of the meal was memorable in the wrong ways. 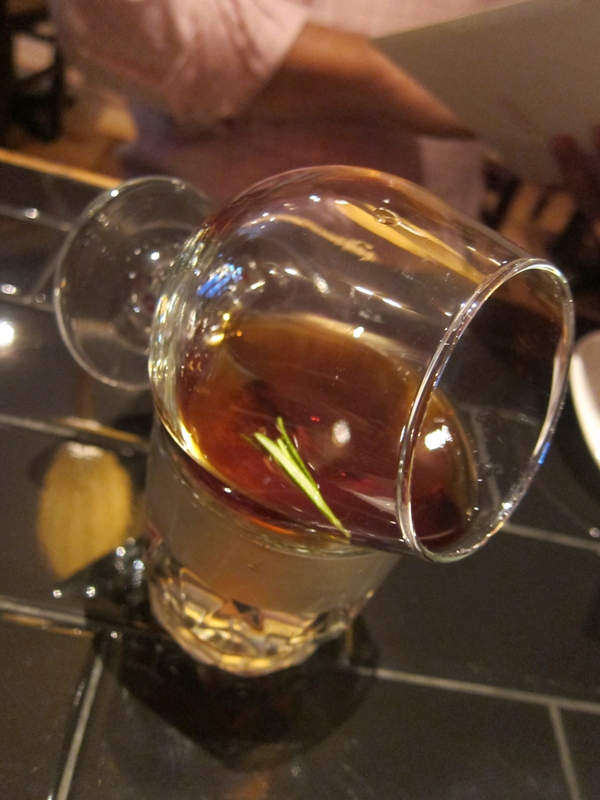 The cocktails (which we learned about in a drinks menu labeled “Hydrate” — a touch too cutesy) were OK overall, save for the Pu-Erh Kung Fu ($12), a warm combination of pu erh tea-infused rum, bacon vodka and rosemary that was so medicinal it bordered on undrinkable. 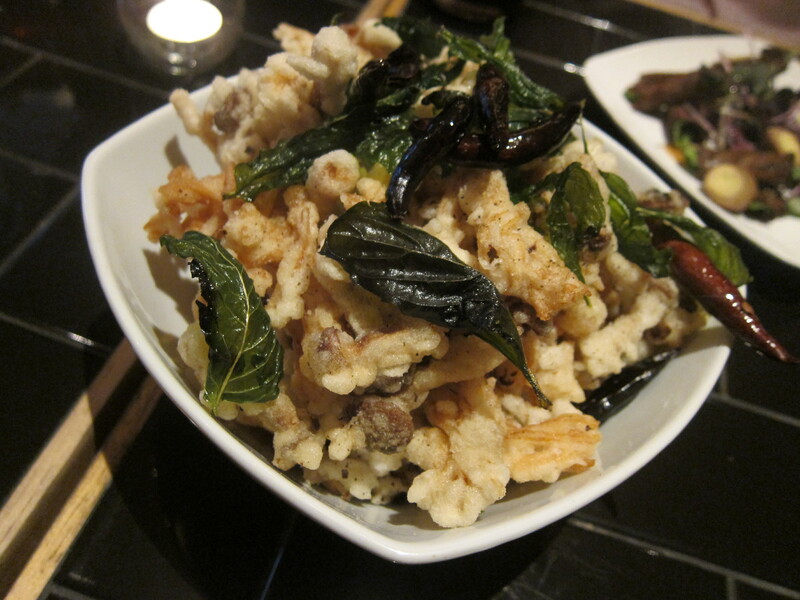 The Yunnan crisp fried mushrooms with basil and mint appetizer ($9) had been praised by some — what we got, however, was largely flavorless mushrooms swaddled in a thick layer of flavorless popcorn-style breading. 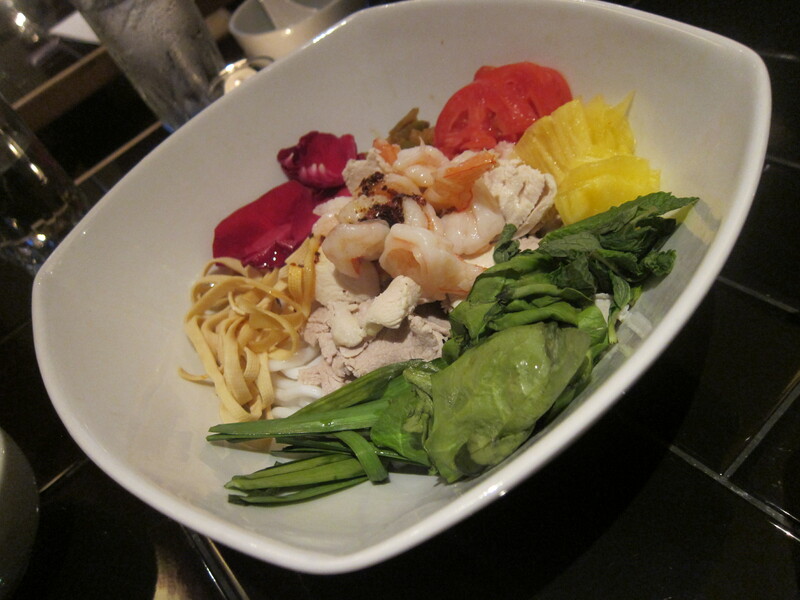 The “Three Delights Cross Bridge Noodles” ($18) sounded intriguing — and this bright bowl of pork, noodles, shrimp, pineapple, tomatoes, greens and rose petals certainly looked inviting. And it came with a little pouring show, too. 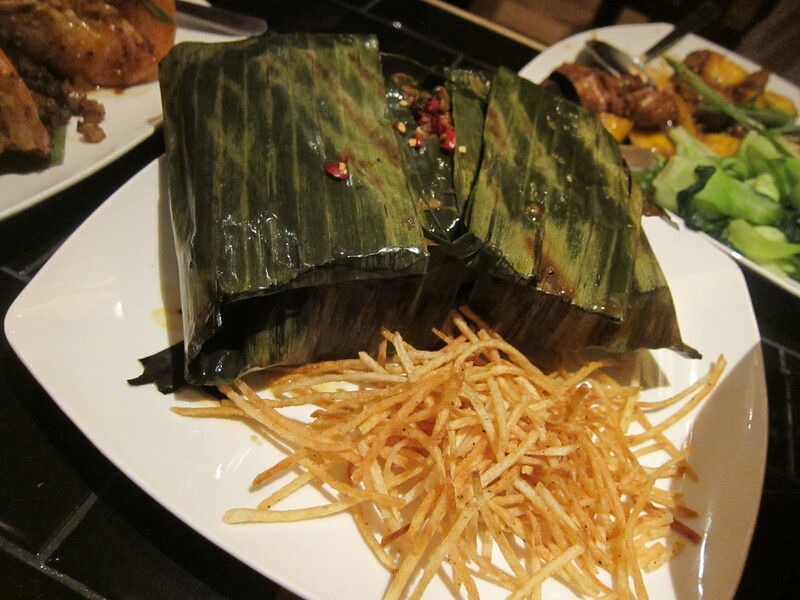 As a lover of spicy food and tofu, I was looking forward to the grilled tofu in banana leaf topped with mushroom and spicy bean paste ($18) since it was flagged on the menu with a little hot chili. 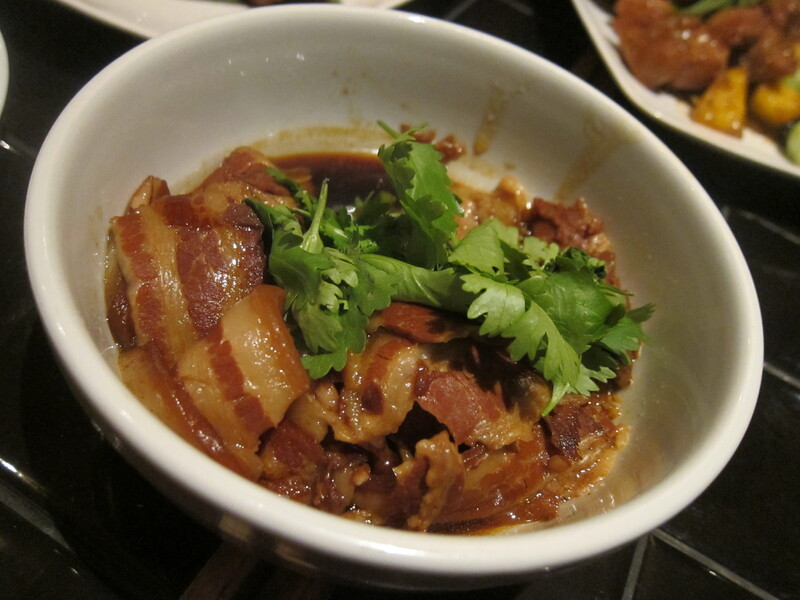 There was one bright spot — steamed pork belly with imported Yunnan candied plums ($20). This dish was a delight from the first bite — it’s essentially bacon-like strips that have been braised to soft perfection in soy sauce and a bunch of spices. Traditional Chinese red-cooking at its best — then jazzed up with the sweetness of candied plums. I could eat this over rice every day. 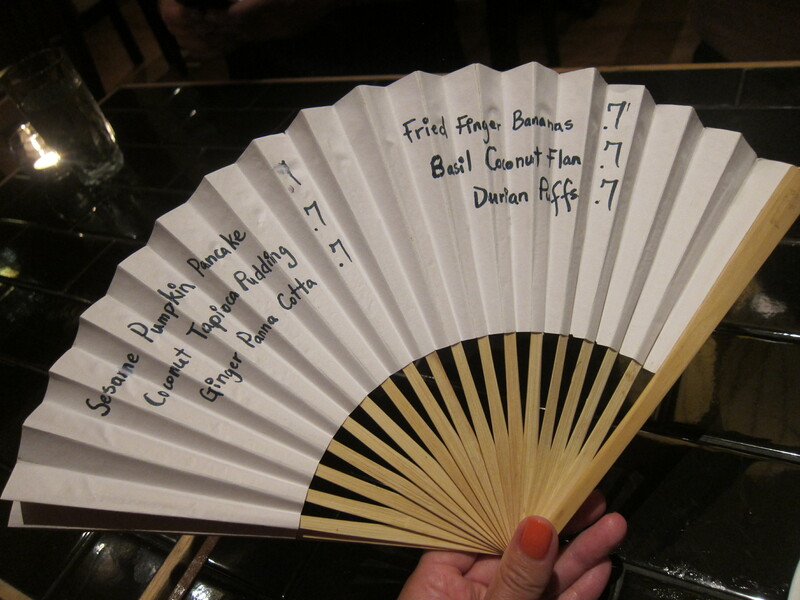 The meal had taken its toll so we were going to pass on dessert — until I spied durian puffs on the menu. How did the puffs taste? They came warm, with a promising smell that told me that the filling wasn’t as watered down for American palates as I had expected. And once I bit through the flaky crust and got to the molten creamy yellow meat at the center, my feelings about the meal before it washed away. If you’re a fan of durian — this is good stuff. Would I go back to Lotus Blue? The arrival of the puffs changed my answer entirely. Yes, in a heartbeat — if only for dessert. 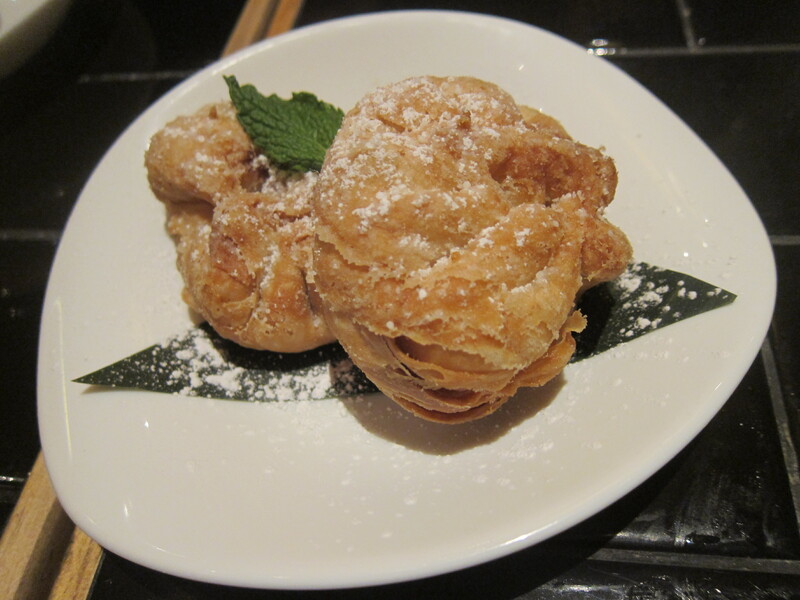 This entry was posted in Asian, Chinese, Dessert, New York, Restaurants, Sweets and tagged Durian, Gael Greene, Lotus Blue, New York, Restaurant, Tribeca, Yunnan by Cheryl. Bookmark the permalink. 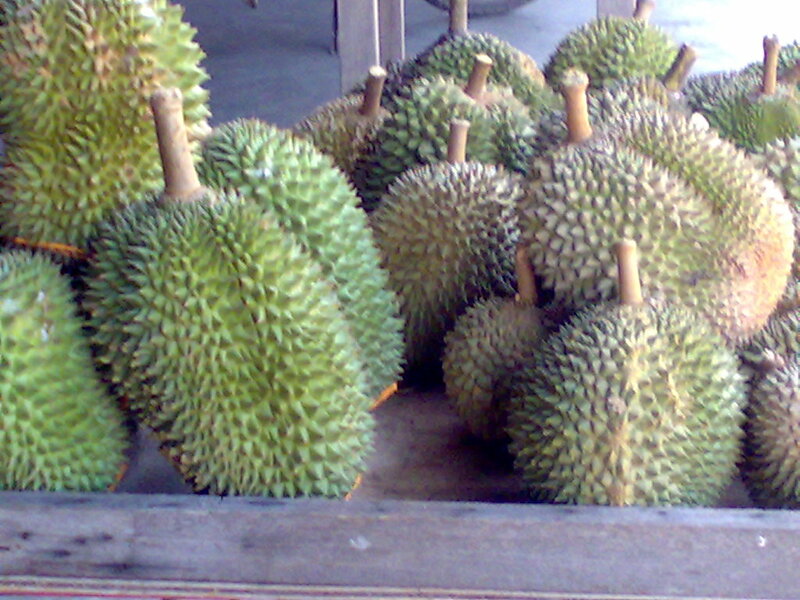 I’ve never had durian; I would definitely try it but I don’t think I’ve ever had the opportunity. And that pork belly and plum thing sounds GREAT.